Do we need any more evidence before we will finally admit that the middle class in America is being systematically destroyed? As you will see below, when you add together all of the wealth of the poorest 152 million Americans, it still falls short of the combined net worth of the 20 wealthiest Americans. This is a list that includes Bill Gates, Warren Buffett and Mark Zuckerberg. To many, the core of the problem is that people like Gates and Buffett are making too much money. But I disagree. There is nothing wrong with working hard, building a company and making lots of money. The real problem is the fact that the bottom half of the country is steadily getting poorer. Once upon a time, this nation had the healthiest and most vibrant middle class in the history of the world, but now that middle class is dying. If we don’t do something about this, soon we may not have much of a middle class left. When I was growing up in the 1980s, it seemed like virtually everyone was middle class. I didn’t know of any family that had a father that was unemployed, everyone seemed to have a house and a couple of cars, and no kid that I went to school with could have been described as “impoverished”. Yes, life was definitely not perfect, but it seemed to me that pretty much everyone was able to maintain a decent standard of living. The richest 20 Americans, with a combined net worth of $732billion, are as wealthy as half of the U.S. population, according to a new study. Findings showed that the country’s 20 wealthiest people, which includes Bill Gates and Warren Buffet, now own more wealth than the bottom half of the population combined or 152 million people. 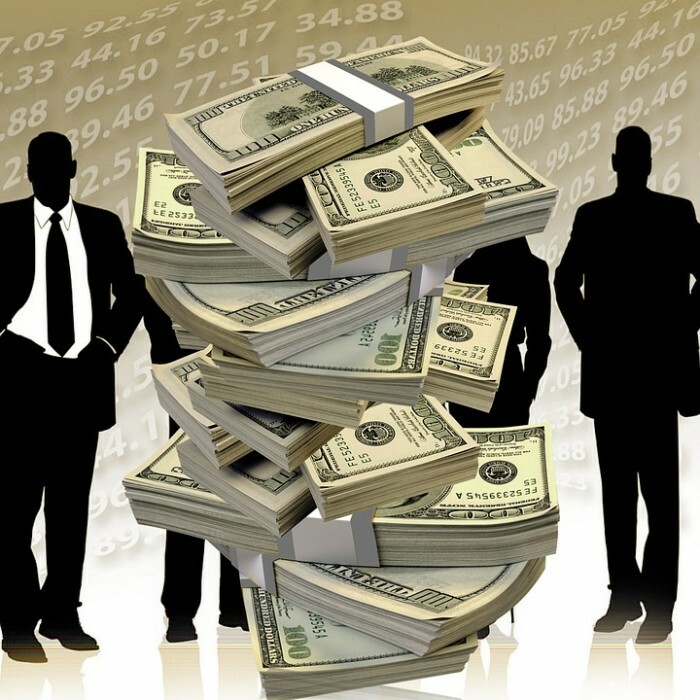 The study by the Institute for Policy Studies also found that America’s wealthiest 400, with a combined net worth of $2.34 trillion, own more wealth than that of a staggering 194 million people – the bottom 61 per cent of the country combined. 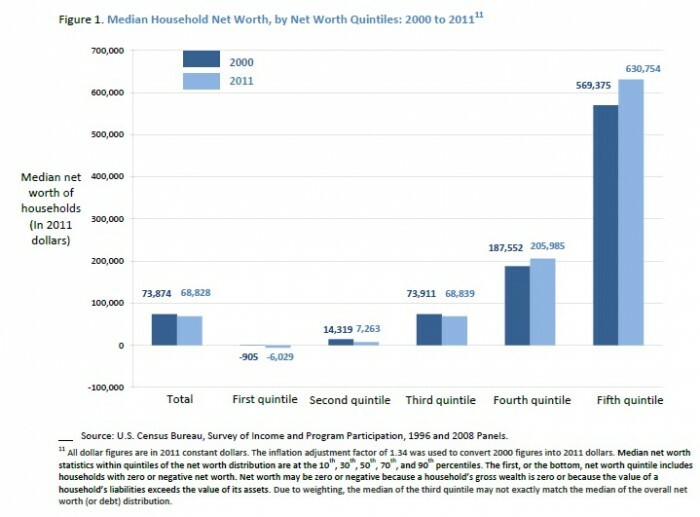 Americans’ median wealth is a mere $44,900 per adult — half have more, half have less. That’s only good enough for 19th place, below Japan, Canada, Australia and much of Western Europe. “Americans tend to think of their middle class as being the richest in the world, but it turns out, in terms of wealth, they rank fairly low among major industrialized countries,” said Edward Wolff, a New York University economics professor who studies net worth. Well, the truth is that you can’t have a thriving middle class without lots of middle class jobs. And unfortunately for us, our economy has been bleeding middle class jobs for a very long time. As I pointed out just recently, if the U.S. government was actually using honest numbers, the unemployment rate in this nation would be more than 22 percent. But even if you have a job, that does not mean that you are part of the middle class. As the quality of our jobs has deteriorated, the ranks of the “working poor” have absolutely exploded. In recent years, we have seen part-time and temp jobs become a much larger part of our economy, and as a result more Americans than ever are really struggling to make ends meet. If you are extremely frugal, you might be able to support a middle class family of five on $50,000 a year. But as you can see, 71 percent of all American workers make less than that. Even if you have a mother and a father that are both working, that is often not enough to make ends meet. Many Americans are working as hard as they possibly can, only to find that they still come up short at the end of the month. And with each passing year, the middle class continues to get smaller. It is almost as if we are playing a really bizarre game of economic musical chairs. With each round, more chairs get removed from the circle, and all the rest of us just hope and pray that we will get to remain part of the middle class for a little while longer. What we are doing as a nation is simply not working. We are now seeing the consequences of shipping good paying jobs out of the country for decades, and yet our leaders continue on with business as usual. Just look at what Barack Obama is doing. He is working hard to promote “the Trans-Pacific Partnership“. This insidious treaty will result in millions more good paying American jobs being lost overseas, but he doesn’t seem to care. No matter whether it is a Democrat or a Republican in the White House, the game remains the same and the middle class continues to suffer. Next articleGuess What Happened The Last Time The Price Of Oil Plunged Below 38 Dollars A Barrel?